Do you desire to invest now and grow rich instantly? We offer luxury but yet affordable estate to all classes of people. Our Estates appreciate daily, its Secured & reliable. Royalty Garden, Shimawa, Ogun state is an amazing garden with luxurious land space with fast and speedy developments (Estate gate, security house,good road network etc). 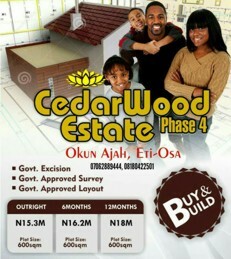 It is located in a serene environment of Ogun state. 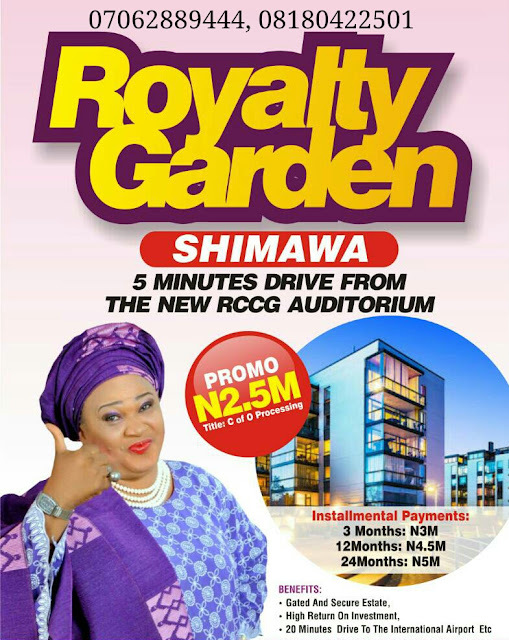 The estate is about 5mins drive from the New RCCG Auditorium.